A long lasting roof starts with quality roofing materials and expert installation. Kingwood roofing customers deserve and expect this and we deliver! From the first consultation to the final installation, quality and expertise are prioritized. It all begins with a free, in-home roofing consultation. We come to your Kingwood home and meet with you to discuss your roofing needs. Whether you�re starting from scratch or repairing roof damage, we�ll help you select the correct materials for your home and neighborhood. Depending where you live and whether or not community guidelines dictate the roof type, we�ll carefully consider the home�s architectural style and your roofing budget. 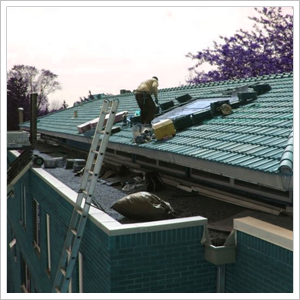 We work with leading roof materials suppliers offering quality materials at affordable prices. No matter how well made roof materials may be, without the expertise of an experienced roofer, results may be compromised. 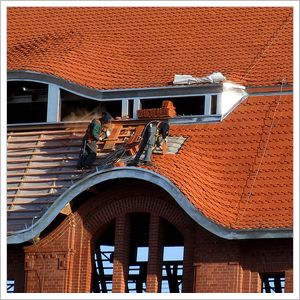 We employ highly experienced roofers who meet our high standards for quality, integrity, and professionalism. When you hire us for your Kingwood roofing job, you can count on us to make your investment a winner! We have built our business, and our reputation, one roof at a time and we continue to focus on the job at hand. We�re proud of our roofing legacy and work continuously to remain in good standing with our roofing customers. We perform independent roof inspections. Whether you need a roof inspection as part of a real estate transaction or because of a dispute with your insurance company, having a third party roof inspection can help you document the current condition of the roof and make your case. Roof repairs take many forms from simply replacing a few shingles to structural repair work. Whether your roof has a minor leak or a major hole in it, we can help. We also specialize in roofing emergencies, moving these urgent jobs to our first priority. If you need a new roof, count on us for a quality roof installation. We work on: new constructions, remodels, and roof replacements of all types. Many Kingwood roofing projects require that we first remove the old roof. This may involve demolition. This is dangerous work requiring expert roofers. In addition, the old roof must be hauled away. With decades of Kingwood roofing experience, quality materials, and expert roofers, we�re well equipped to handle all of Kingwood�s roofing needs including residential and commercial roofing. Call us today for a free estimate.